We have been committed to sustainable farming of our citrus groves since we purchased our first ranch in 1988. We live in the citrus groves and believe that it’s important to try to reduce the chemicals that have historically been applied to the trees. Many growers spray at the first sign of insects, but our philosophy is to wait and watch. We’ve been amazed by the power of Mother Nature! Predatory mites and other good bugs feast on the immature citrus pests creating a balance in the groves. This practice has severed our dependency on chemicals while saving our soil and air from these unwanted inputs. Our results have been both rewarding and reassuring. Our customers have continued to support our program, and we feel confident in our sustainable model, and have extended it to our grower partners. When we first started, we quickly realized that to make a living in this business we had to be different. We have made it our goal not to rush out and pick our fruit at the first signs of maturity. Citrus fruit can hang on the tree for a longer period than most people can imagine. Farmers have to choose whether to pick when the taste of the fruit is just tolerable or wait until the flavor and sugar increases. We always choose to wait for the optimum flavor. The waiting is the tough part, freezing weather or lower market prices can all take its toll on the crop. By playing the waiting game we increase our risk exposure, but we strive to present a better tasting and longer lasting fruit to our customers. Truly a slow food concept! With a little luck, hard work, and a lot of faith we will be able to deliver fruit the Ripe to You® way.  At Ripe To You®, our focus is to consistently meet the highest standards of quality, freshness, and seasonality to deliver superior citrus with an unbeatable flavor.